Sign up for Broadjam today to follow Soulscript, and be notified when they upload new stuff or update their news! We wrote this song wanting to honor a New Orleans feel with the piano playing style. We brought in a trumpet player, flugelbone player and clarinet player to brush against that New Orleans Jazz sound. We wrote this song about Katrina, a category 4 hurricane that devastated the Louisiana and Mississippi coasts on August 25th, 2005. Poignant telling of hurricane Katrina's impact on this talented artist with a New Orleans sound that pays homage to its home city. 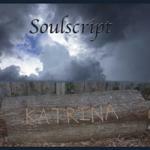 Producer Credits Thomas Edward Bowden, Jr.
Would you like to help Soulscript get heard by industry pros by buying them a song submission credit to Broadjam Music Licensing Opportunities?